If you’re trying to get one of the best scooter helmets but have no idea which one to choose out of the hundreds of models on the market, then you’re in luck, since we’ve done all the work, so you don’t have to. We’ve done a lot of research and looked at some of the most critically acclaimed helmets available while also comparing features, build quality, and prices so we can help you make an informed decision. Out of the numerous models, we have studied, we recommend that you get the Razor V-17. This helmet is lightweight, comes with a good venting system to keep the head cool in hot weather, and can be adjusted to fit children that are aged between 8 and 14. 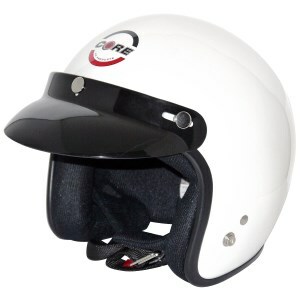 In case this item is out of stock, you might also want to take a look at the Core Vintage Open Face Helmet. 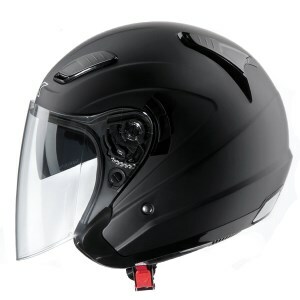 The durable and lightweight shell that this helmet comes with is one of the first reasons you ought to consider it. It is safe and convenient, and its interior can be removed and washed. The padding on the inside will make all your rides comfortable. The windshield is anti-scratch, anti-fog, as well as UV-protected. Plus, the padded wind collar will protect you from the road noise and wind. The snaps aren’t the best quality as there have been some issues reported in this sense. 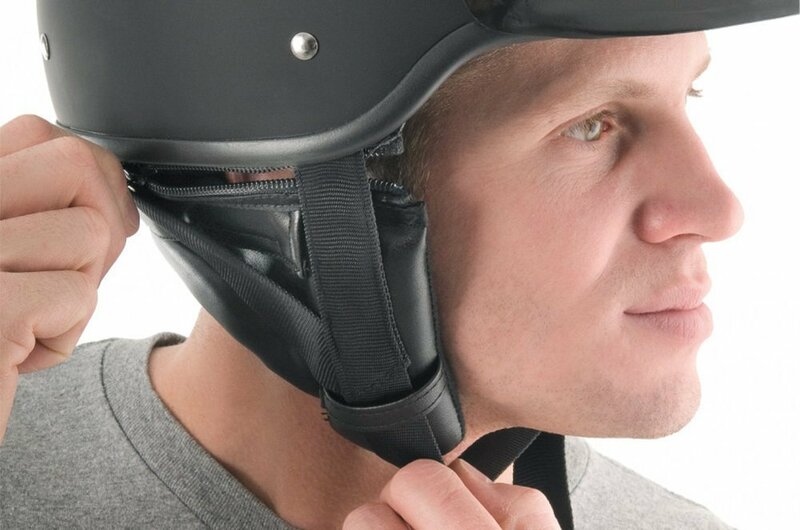 The Qualifier is a safe and good-quality street helmet for both scooter and motorcycle riders. The visor that the 1Storm alternative comes with is one of its notable features as it will allow you to focus on the road without being bothered by the sunlight. Boasting a rugged aerodynamic thermoplastic alloy build, this helmet is comfortable, easy to wear, lightweight, and yet entirely safe. As with others out there, the interior of this particular one can be removed and cleaned. It is DOT-approved. Some of the riders report being bothered by the fact that the face shield doesn’t also cover the mouth. An affordable helmet that’s DOT approved, lightweight, easy to wear, and above all, comfortable. The MMG 51 is equipped with a durable and lightweight shell, which means that you won’t feel the weight of the helmet too much. It’s designed to provide plenty of comfort to the user, which is why it comes with a padded interior. Lift the visor when you want to do so thanks to the flip-up design. The anti-scratch technology of the visor is another benefit that you ought to consider. Match your head measurements to the ones in the size chart to avoid problems regarding the sizing. 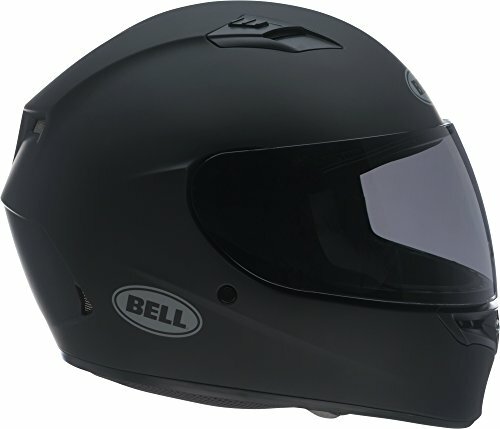 An inexpensive helmet that seems to be convenient and lightweight and that offers plenty of value. Finding the best helmets for scooter riders can be quite demanding, considering the various protective and design features that need to be considered. We’ve searched the market for some of the best models in this category and have compiled a list of the ones that are the most popular among consumers. Since the definition of scooters largely depends on the person who rides one, meaning that can be equipped with motors or not, we decided to showcase this model first since it is considered among the safest ones out there. It boasts a polycarbonate/ABS shell construction and it comes with a shield that is anti-scratch, anti-fog, and UV-protected. The neatest thing about this model is that you don’t have to worry about being bothered by the road noise or the wind since the Qualifier is outfitted with a padded wind collar. As for convenience, you might want to know that this item comes with an interior that can be removed and cleaned. It’s a good thing that the Qualifier has also been equipped with contoured cheek pads for an adequate fit. Use the integrated speaker pockets to install your audio system of choice. The D-ring closure on the padded chin strap makes the unit very easy to use. If you’re in the market for a budget-friendly alternative, perhaps this one by 1Storm might make a suitable option. It comes with a visor that is uniquely designed to protect you from the sun and allow you to focus your sight on what’s happening on the road. Having been made out of a rugged aerodynamic thermoplastic alloy, this helmet is lightweight, easy to wear, and comfortable. It also boasts a heavily cushioned interior, which is always worth mentioning since you can’t ever be too safe. The interior is removable and washable, and that’s another advantage that you ought to take into account. Available in several colors ranging from Matt Black to Red Camo, this product is DOT approved and boasts a glossy protective finish. The face shield does not cover your mouth, however, and that’s an inconvenience that you have to bear in mind. You can also receive a helmet with a visor that’s off-track, but in such cases, the brand or seller will swiftly solve the issue. This helmet is street-legal and DOT-approved, so right off the bat, these two aspects will give you the reassurance that you are going to be investing your money in something that’s actually worth every penny. The shell that this model is outfitted with is both durable and lightweight, which means that you will be adequately protected at all times. The interior is padded and comfortable, at least judging by the feedback that this item has received in this sense. The visor can be lifted with ease since it boasts a flip-up design, and the best thing about it is that it is developed specifically to be anti-scratch. On top of everything, the MMG 51 comes with a care bag, which is an extra that you might fail to find with some other options. When it comes to sizing, there have been some issues reported in this sense, so make sure to measure your head correctly and then match the measurements to those in the size chart made available by the manufacturer. If you are looking for a helmet to allow you to feel the wind on your face but also want extra protection when you need it, then the Fuel HelmetsSH-WS0017 is a perfect fit. This is an open-face helmet that allows you to enjoy the breeze while also featuring a pivoting shield.that will keep insects, dust, and rain away. The top brow vents follow the natural lines of the helmet so that you can enjoy a better airflow and stay cool and dry even in hot weather. You get to easily remove or replace the helmet shield via the screw-system. The helmet shell is built to provide performance and maximum safety while also benefiting from a UV clear-coating. You get to easily adjust the chin strap by using the D-ring closure system to ensure that the helmet stays properly, so you get the most protection in case of an accident. Like this post? How about you check out our other, related ones? Whether you’re just planning to commute a short distance to work or love riding a scooter on longer trips, getting the MMG Open Face helmet will ensure that you get to ride safely and in great comfort so that you don’t expose yourself to accidents. This unit has a sleek design with an aerodynamic shape that will make it easy to ride through the wind. The helmet is DOT-approved, and you can legally wear it on public streets, so you get to stay safe as well as legit. The interior padding is thick and comfortable, and you can also remove the cheek pads and wash them to keep them clean and smelling nice. The clear windshield will protect your face from insects, debris, and unfavorable weather without hindering your sight so that you get to admire the views around you with no problems. This product also comes with a care bag so that you can protect your helmet when not in use. With the full-face helmet from Fuel Helmets, you get to enjoy your rides in full without having to worry about protection. This model is sturdy and made of tough thermoplastic that’s also UV-coated for better protection. Despite its strong design, this helmet is quite lightweight for a full-face variant so you won’t tire even after wearing it for longer periods of time. Thanks to the internal vent system that channels the airflow around your head and the external vents in the front and back, you get an efficient cooling system that will ensure that you won’t be riding wet on longer rides. The D-ring closure allows for a tight adjustment of the chin strap while the retention strap ensures that the helmet fits snugly for maximum safety. You can easily remove the visor and the cheek pads for cleaning and maintenance so that you get to feel great while also being able to see properly while riding. 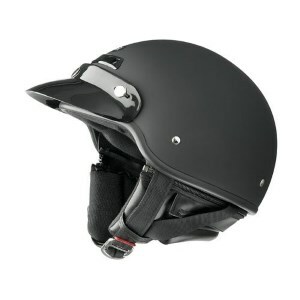 If you want to ride your scooter in style and need some reliable protection for your head, then the Raider Deluxe Open Face is just what you need. This helmet will offer good protection in case of a crash, and you also get to look good with this elegant model. The outer shell is made of resistant thermoplastic that is both durable and lightweight. You can also mount the snap-off visor to get your face protected from flying debris and bad weather. Thanks to the dual vents positioned on the forehead, you get an effective cooling system that will also draw out moisture so that you don’t have to spend hours riding soaking wet. You can also attach the optional zippered neck curtain for better protection against the wind and the cold. 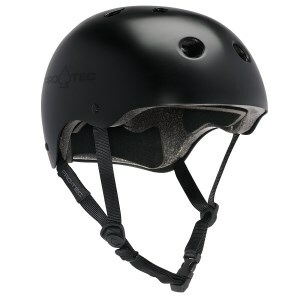 This helmet features a full rubber bead trim for extra convenience and protection. You can also use the helmet with a communication system. If you’re looking for a retro helmet to wear on your scooter, then the Core Vintage is a good pick. This helmet looks like a ¾ helmet from the 60s and comes with a stylish exterior that will certainly impress. With this model, you get a 3-snap bubble visor as well as the possibility to attach a 5-snap flat shield for increased protection. The shell is made with an injection-molding technology which confers it strength while also keeping it lightweight. The interior is lined with soft plush nylon that’s also breathable for a comfortable ride even when used for extended periods of time. The premium automotive paint finish gives this helmet the ultimate vintage look so you will definitely be proud to wear it throughout the city. This helmet benefits from modern technology, as the dense polystyrene can absorb shocks from impacts. The double D-ring system will allow you to tightly fasten the chin strap for better protection. 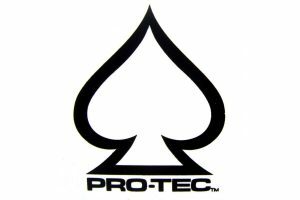 The Pro-Tec Classic allows you to ride in style, thanks to a comfortable and lightweight construction. This helmet features an outer shell that is injection-molded, conferring it strength and durability. The EPS foam liner will absorb shocks from falls and disperse the energy from impacts so that you keep your head protected and free of injury. You also get 11 vents to help with air circulation so that you won’t get soaking wet due to excessive sweating when riding on a hot sunny day. This classic design also comes with an adjustable chin strap so you can fit the helmet snugly on your head and ensure that it protects you at all times. The Nylex-laminated exterior comes with a black gloss that makes this model even more attractive. This is one of the light Protec scooter helmets which also features a smooth transition from hard materials to soft protective foam thanks to the Dri-Lex technology so that you get to enjoy a comfortable ride. 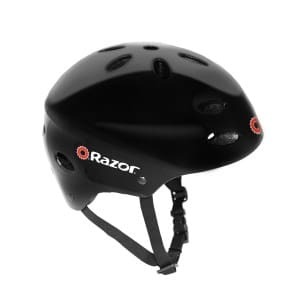 The Razor V-17 is a youth safety helmet that’s ideal for sports such as biking, skating, and other outdoor activities. This product is lightweight and comes with 17 vents on the top as well as sides to provide enough air circulation and prevent overheating when used in hot weather. The interior has an ergonomic design that comes with thick padding for extra comfort. You also get an additional pad set that can be used to adjust the size in case the helmet is too large. With the side release buckles, you can easily adjust the chin strap and ensure a snug fit for extra protection. This unit weighs only 0.95 pounds, so it is easy to wear and ensure safety at all times. This helmet is fit for head sizes between 21.5 to 23 inches, and it is suited for children aged between 8 and 14. This item comes in a sleek black color with a gloss finish. Whether you want to replace your old helmet or are planning to get the best scooter crash helmet for your new ride, you’ll probably have a hard time navigating the market. There are lots of options in terms of style, size, shape, design, comfort, etc., and choosing the right model can be daunting. Here are a few things that might help you get the right model for your needs. When looking for scooter helmets for sale, you will want to compare build materials. Different helmets are made from different materials. Inexpensive models have an outer shell made of injection molded ABS polymers which provide a good balance between price and protection. The interior is usually made of EPS foam which has good shock-absorbing capabilities and offers reliable protection against impacts. Higher-end helmets can be made from fiberglass composites which can absorb more energy on impact, but models featuring this material tend to be more expensive. Carbon fiber is usually found in the most expensive helmets on the market, yet these offer the best protection for their weight, if you can afford them, that is. The best scooter motorcycle helmet is the one that will fit. While this should be quite obvious, many people fail to understand just how important it is that the helmet fits perfectly. This becomes even more important when it comes to finding a kids’ scooter helmet since sizes vary and you want maximum protection for your young rider. A helmet that’s too large will bounce during the ride, create a lot of noise, and the worst part is that it won’t offer much protection during a crash if any. Wearing a size that’s too large will expose you to great danger in case of an accident, as such a helmet could even fall off your head, which is surely that last thing you want to happen in such a scenario. The helmet shouldn’t feel too tight either since it could create a lot of discomfort during rides and make long-distance commuting or touring next to impossible. If the helmet is simply too small, then it won’t sit properly on your head, and you’ll get less-than-desirable protection. The helmet should feel slightly tight around the head, forehead, and cheeks, but not too tight. So make sure that you measure your head and check the size charts of the particular brand you’re planning to buy from before you order. Head sizes don’t necessarily predict head shapes, and the best way to ensure that a helmet fits is to actually try it out. If you have ordered the wrong size, try to return it and get a replacement that fits. You could go for a scooter half helmet and enjoy the wind in your face while riding. These helmets offer decent protection while also having a retro look and feel. They are usually the lightest variants available but they don’t cover the entire head, and they also don’t come with face protection. However, you could always add a smoke shield or a visor or even a neck curtain. An open face is more versatile, and it offers more protection. Many such models come with a built-in visor, shields, and you can also attach mouth and chin protection on some of the more expensive models. You could also buy one of the scooter helmets with Bluetooth. These allow you to attach various communication devices so that you can keep in touch with fellow riders in a group or with other people. Just make sure you don’t impair your hearing when riding in heavy traffic. Also, make sure to check the state legislation regarding the use of such devices on public roads. Full face helmets offer the best protection you can buy. This type of headgear covers the entire head, face, as well as mouth and chin. These are the heaviest helmets as well, but the question you should ask yourself is whether you’re willing to sacrifice some protection for extra comfort or not. 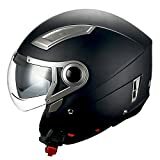 You can find many positive scooter helmets reviews when it comes to full-face variants, and there’s no shortage of models from reputable brands that are built from tough materials while also offering a load of features. When looking for a helmet for your scooter, you might also want to check out its ventilation system. Riding in hot weather will surely cause you to sweat excessively, and without a proper airflow system to cool you down and transport moisture out of your helmet, you won’t be able to enjoy your travels too much. Many models come with double-vent systems which start out in the front, move through the top of the helmet and then exit through the back. There are also side vents that circulate around your head and are efficient in carrying heat away from your helmet. With a full-face variant, the ventilation becomes even more important, so make sure you choose a unit that has proper air circulation. 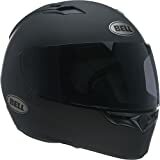 Especially if you are planning on touring in summer or commuting a lot, you’ll also want to get a helmet that’s easy to wash. All that riding in hot weather, with insects smashing against the helmet, soot and dust covering the outer shell, and body oils and sweat impregnating the liner, will surely make your helmet look and smell horrible. You can opt for a model that allows you to detach the interior liner and cheek pads so you can separately wash them and keep them clean. Helmets that allow you to remove visors, shields, and vents are also easier to wash.
Don’t forget to follow cleaning and maintenance recommendations to avoid scratching your helmet or damaging the lining. Another important thing you need to do before buying a helmet is to check your state legislation. 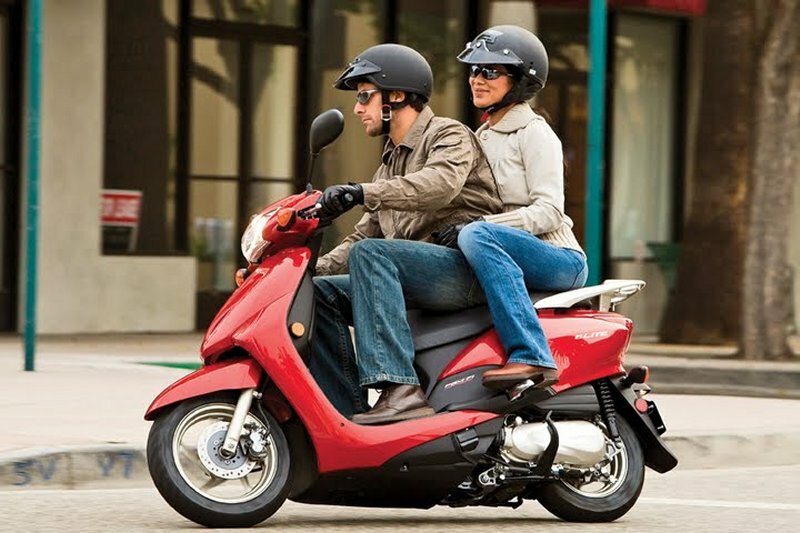 Some states aren’t so restrictive when it comes to wearing a helmet when riding a scooter, while others will require only certified models with or without mandatory visors. Some might even ask that you wear a motorcycle helmet, so make sure you do some research before you buy. How should a scooter helmet fit? When buying a helmet, you should make sure that it fits snugly. Hold the helmet by its chin straps and then put in on your head. The helmet should sit squarely on your head and shouldn’t be tilted either to the front or the back. In case the helmet is too large, it could wobble during the ride, creating discomfort, a lot of noise, and it could also come off during a crash, which is the last thing you’d want to happen. The helmet should fit tight without pressing your cheeks or forehead. How to measure scooter helmet size? Getting the correct helmet size is vital to your protection when riding. However, the different sizes and units of measure might confuse you a bit. You should first measure your head’s circumference in the fullest part, above the ears and eyebrows. Next, you should check a size chart and compare it with your own measurement. Most charts also display hat sizes for comparison, although they don’t always give a good indication of the correct size. You should try to use charts from the particular brand that sells the model you want, as different brands might come up with different charts. How much are scooter helmets? Prices for helmets can vary greatly depending on brand, model, type, etc. For example, full-face helmets are going to command much higher prices than half helmets. It also depends on the accessories that come with the helmets, such as smoke shields, bubble visors, straight shields, etc. Some simple helmets might only cost a few bucks and offer limited protection for your head. 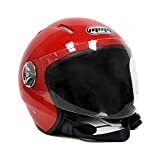 Higher-end models from reputable brands can cost several hundred dollars, but provide you with increased protection, and you can also wear them on a motorcycle in many states that require them. Do scooter riders need helmets? Most states in the US require all riders to wear a helmet. Some states require that riders wear regulated helmets that must pass certain minimum specifications. You should also be aware of the fact that some states might ask riders to wear goggles or a face shield, while others might even require that you carry a license and registration. Regardless of legislation, you should never ride a scooter without protective headgear especially when these vehicles can reach top speeds of 40 mph or more. Try to find an approved motorcycle helmet and not a bike helmet. Razor is one of the most popular manufacturers of personal transporters, electric rideables, and safety gear in the US. The brand was established by Carlton Calvin and JD Corporation in 2000 in Cerritos, California. The company launched its first Razor scooter in the same year and managed to sell 5 million of these in just six months. The company has become well-known for its innovative approach to personal transporters, as well as its commitment to manufacturing and selling protective gear such as helmets to ensure that its customers can enjoy their rides while also staying safe. The company was launched in 1999 after its founders realized that not all riders wanted the same kinds of helmets. 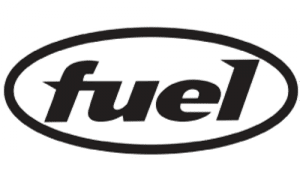 Thus Fuel Helmets was born. 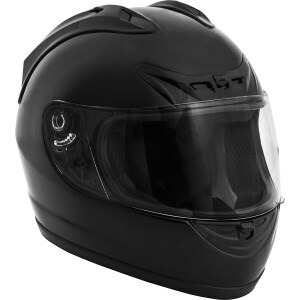 This manufacturer creates a wide range of helmets of various shapes, colors, as well as graphics for passionate riders. 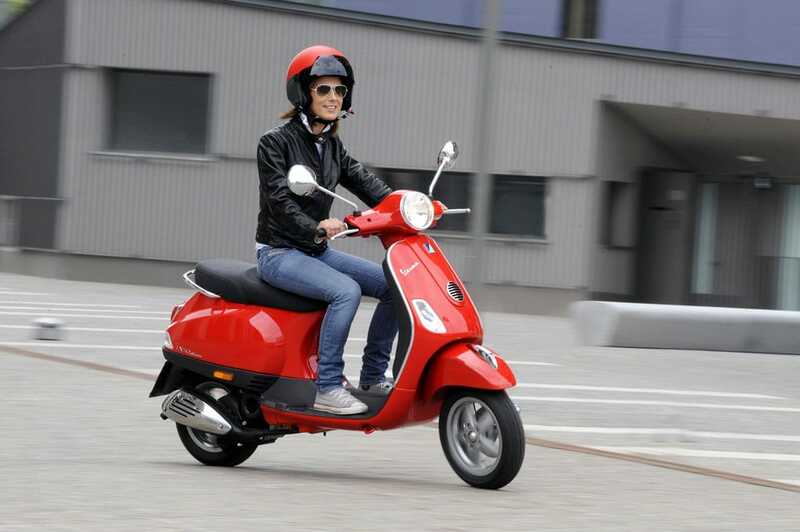 The company has become extremely popular in the US and Canada due to its customer-support orientation as well as focus on helmets that are safe and reliable while also being affordable to anyone who owns a scooter or another two-wheel vehicle. 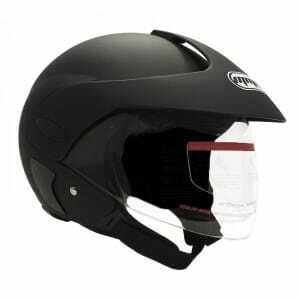 Its helmets are also DOT-approved and can be found for sale in most major retailers on the continent. 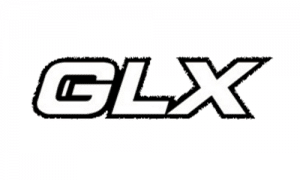 GLX, also known as Galaxy Helmets & Accessories, was founded in California in 2002. However, its manufacturing plant has been operating since 1994, producing quality helmets for various international outlets. The company’s philosophy is that helmets need to be safe as well as affordable, and this shows in its line of products that are made from quality materials and are DOP-approved while also being relatively inexpensive compared to major international brands. The company also employs American designers so that it can create helmets that suit the specific needs of the American customer. GLX is building up its reputation and adding to its collection of helmets and accessories every year. Back in 1971, Raider was only a tiny company that made a living distributing snowmobiles as well as various parts and accessories. After four decades, it left behind the snowmobile market and started developing new products in 1999 and 2000. In 2001, the company was already selling its new helmets and accessories in 35 stores. By 2007, the company had expanded to selling its wide range of quality protective gear in over 500 stores across the North American continent. 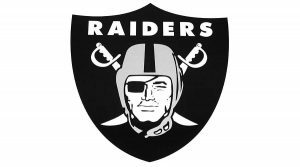 Right now, thousands of stores, as well as most major online retailers, have Raider helmets and other accessories that are highly appreciated by riders from various sports and disciplines. The company’s history began in 1973 when it was of the first brands to produce skateboard protective gear and helmets. The brand created some of the most easily-recognizable skateboard helmets in the industry. With over 40 years of heritage in the world of extreme sports, the company designs and manufactures protective gear for a variety of uses, from professional skateboarding to BMX to casual commuting. Protec has a diverse line of products that can suit every style and need. The company continually incorporates innovative technologies in its product line and provides quality helmets to riders of all types. After wearing your helmet for a longer period of time, you might notice that it is starting to smell quite bad. All the body oils and sweat impregnate the interior liners, while bugs, dust, soot, and smog can cover the exterior with lots of grime which, besides being unsightly, can also impair your vision while riding. The good news is that you can clean your helmet and make it shiny and looking and feeling just like new again. However, you will need to follow some steps and learn the things you can do and the ones you should never do when cleaning your helmet. If you have a removable liner, you should pull it out along with the cheek pads and put them in the sink with lukewarm water and some mild soap or baby shampoo. Leave them to soak for a few minutes, after which you can start rubbing them gently to get all the body oils, sweat, and grime off. Then rinse them and leave them out to dry naturally. Never use a heat source for drying. If the liner cannot be removed, then you should make sure that you remove all the parts and accessories that can be detached, such the visor, removable vents, etc. Wash the helmet under the shower for a bit, and then put it in a bucket with some baby shampoo. Gently rub the liners and EPS foam with your fingers to get all the grime off, rinse, and leave to dry. Now that the interior is taken care of, you should try to clean the exterior. If you had to wash the helmet in a bucket because the liner didn’t come off, then most of the bugs and grime might have already fallen off the helmet. Even if they didn’t, they are now well-soaked and easy to remove from the helmet. Gently wipe them off with a wet cloth. You can also use cotton swabs for vents, and a very soft brush for difficult areas, just make sure you don’t scratch the surface. If you didn’t soak the helmet, you should use a wet cloth or microfiber to clean the exterior. Leave hard-to-remove bug parts and grime to soak beforehand, and never scrub, as you can scratch the helmet. You can then use wax polish to make your helmet look like new. You might also want to use some synthetic oil for the visor joints and other moving parts to keep them in good shape. The Sniper Tuning AR15 is a reliable helmet that offers superior resistance to impacts. This model is a mix between a bobber-style open-face helmet and a drop-down shield variant, offering the best of both worlds. You get a helmet that looks and feels great as well as increased protection so you can safely ride all the roads you want. 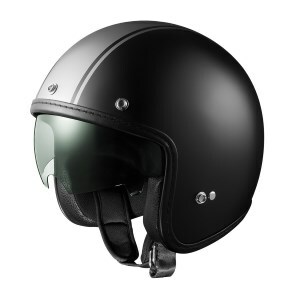 This low-profile helmet features a copter-style design that gives it a retro look that is becoming increasingly popular among riding enthusiasts. With the precisely-engineered EPS foam layer, you get better impact-absorbing capabilities than you would with a similar model. The outer shell is made of hard thermoplastic that makes this helmet durable and resistant to shocks as well as the usual wear and tear. With this unit, you get a built-in drop-down shield for extra protection in unfavorable weather, and you can also mount a smoke shield for a classic look. With the integrated snaps, you can also mount other visors and shields. 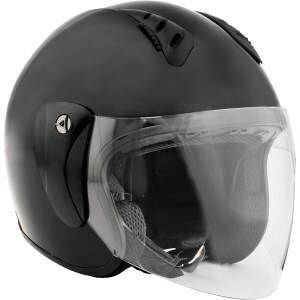 The GLX GX01-MB-L is a 3/4 open face helmet that is designed to keep you safe when riding a scooter. This model comes with an ABS shell that also uses polycarbonate for superior resistance against impacts. The exterior is also reinforced with resistant fibers for even more resilience against damage. The interior is comfortable and lined with dense EPS foam which has good shock-absorbing capabilities. You also get interior cheek pads that you can wash together with the liner to ensure that you don’t have to wear a sweat-soaked helmet all throughout the summer. You also get a chin strap that is easy to use thanks to the quick-release mechanism. The large eye port will improve visibility while the dual visor protects you from the elements. This unit is FMVSS No. 218 certified, meaning that it has passed safety standards so that you can trust it to protect you in case of a crash. If you liked this article, maybe you’d like to find out more about the best scooter locks or various models of moped helmets. With all the accidents/deaths that have been occurring with scooter riders, I wouldn’t feel safe getting a new rider anything but a full-face helmet. There are going to be tons of specials for Black Friday on some of the safest/best known brands, i.e., Bell. 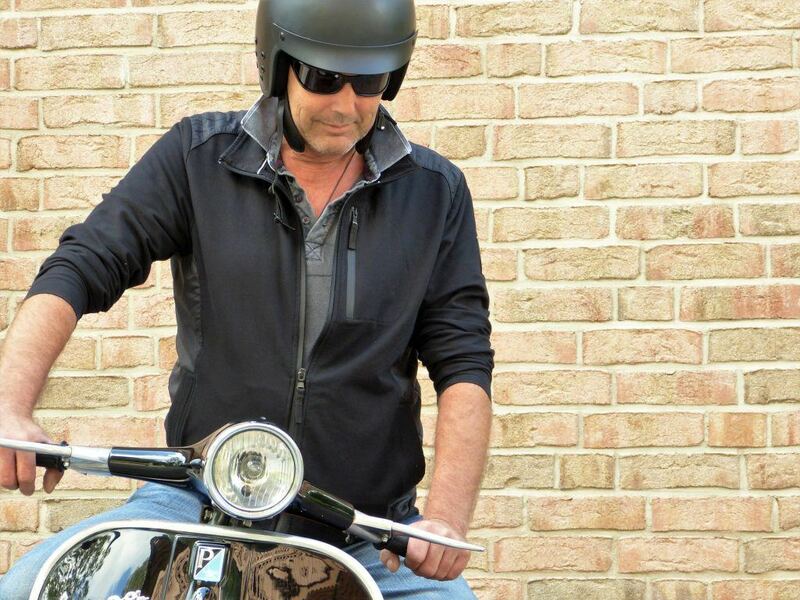 The Qualifier model is a well-known, proven helmet that will ensure the safety (and brain cells) of all riders, and I wouldn’t let a child in my family ride with an open face helmet. You’re right, Valiant, and that’s why I decided to add the Bell Qualifier to our selection. I’m going to do that today, actually. Full-face helmets always offer the best protection. Thanks for the advice and have a great day!